I want to take a moment to look back, at the Writing and Education category for the Group Writing Project: 90 Reviews of 2009. The Group Writing Project, from Daniel Scocco’s blog Daily Blog Tips, motivated me to commit to writing this blog. I decided to highlight the Writing and Education posts because, well, that’s what interests me most. 1. 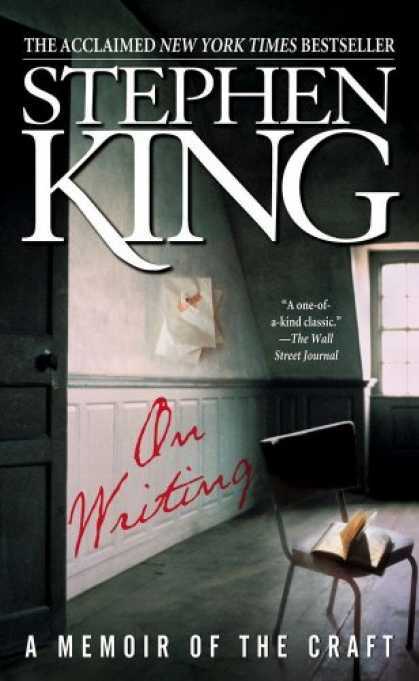 On Writing: A Memoir of the Craft, by Stephen King. It seems like I read about this book everywhere. I must make it a priority to read it this year. I feel the way I felt before I read Anne Lamott’s Bird by Bird, as if I’m missing out on a big secret. 2. 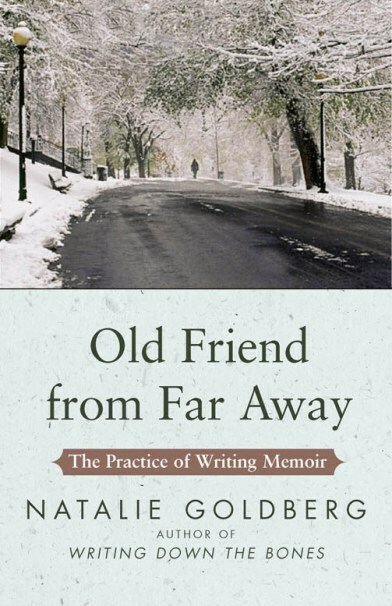 Old Friend From Far Away: The Practice of Writing Memoir, by Natalie Goldberg. Natalie Goldberg ranks in the top five of my favorite authors. I’d like to read every word she’s ever written. So far I’ve read Banana Rose, Wild Mind: Living the Writer’s Life, and I’ve begun but haven’t yet finished Writing Down the Bones: Freeing the Writer Within. 3. 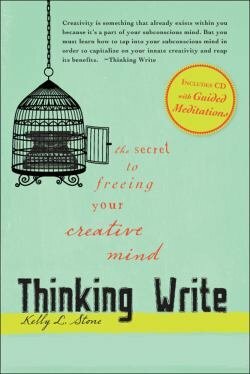 Thinking Write: The Secret to Freeing Your Creative Mind, by Kelly L. Stone. I read her other nonfiction book, Time to Write: More than 100 Professional Writers Reveal How to Fit Writing into Your Busy Life, last spring. It changed my writing life. Chapter 10 is called, “Tap into the Wellspring of Creativity: Your Subconscious Mind.” It’s one of the shortest chapters, but it’s packed with information on a subject that fascinates me. I’m so happy she expanded this chapter into an entire book. In fact, she writes on her Web site that Thinking Write is the companion to Time to Write. Thinking Write comes with a bonus CD of guided meditations for writers. 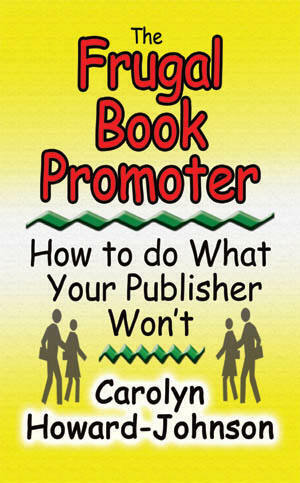 After I read this interview, I added The Frugal Book Promotor to my list. Carolyn Howard-Johnson , an award-winning and prolific author and marketing expert, wrote a terrific post on Visual Arts Junction titled Social Networking for Busy Authors. As I read this interview, I got the feeling I’d read about Larry Brooks somewhere else recently. As it turns out, I had, here. I take these serendipitous clicks to mean I need to read Story Structure, Demystified this year. Mark David Gerson is an author, writing/life coach, editor, project consultant, script analyst, speaker, and teacher. 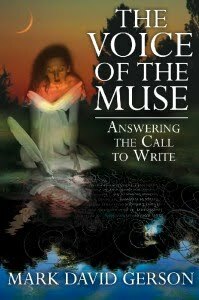 He’s the author of The Voice of the Muse: Answering the Call to Write, and has also recorded The Voice of the Muse Companion: Guided Meditations for Writers. I’m all about companions and there’s those words “guided meditation for writers” again. The next blog post, 2009 Top Ten Hits, is from Geoffrey Philp’s Blogspot. Geoffrey Philp is a writer from Jamaica; you can read his impressive bio here. There’s a wonderful amount of inspiration on this blog. Check out Top 10 Things Every Writer Should Know and Am I a Writer? (Part Dos). Social media guru Laura Christianson, who blogs at Blogging Bistro, wrote 10 Popular Phrases You Must Immediately Delete From Your Writing. I found this article to be helpful and entertaining. She writes about jargon and euphemisms and how to eliminate them from your writing. All writers can use knowledge in this area. Nancy Hendrickson, a freelance writer and the owner and operator of Green Pony Press, Inc., wrote Amazon Kindle Publishing in 2009: The Sheriff Came to Town. I’m always interested in reading about the world of e-books. I liked the analogy she used throughout this post. Here’s a past post on the topic of e-books. Lastly, from one of my favorite blogs, The Procrastinating Writers Blog, is the 43 Most Inspiring Writing Posts of 2009. This post led me to Daily Blog Tips and The Group Writing Project. Loaded with 43 more virtual places to glean writerly stimulation, I’ve resolved to devote space to some of them at a later date. With so many books and online resources for writers, I felt compelled to share a few of them with you. I invite your thoughts, and if you have any books or Web sites you’d like to share, drop me a comment. Here’s to a new year filled with words! Thank you for this. I love these sorts of books. Bird by Bird is one I recommend to everyone, writer or not. Hi Kass! Thanks for reading and for your comment! I too, love these sorts of books. My list seems to get longer and longer every year. If I became financially independent I'd do nothing but read books (and write, of course). I also agree with you about Bird by Bird, that's an excellent book not just for writers, but all of us. Greeting, Alanna. I'm so pleased that you enjoyed the interviews at Visual Arts Junction! Thank you for including them in your posting. Have the best day ever. Thanks for those book suggestions. I haven't read a writing book for a while! Hi Aggie! Thanks for stopping by! Thanks for your interviews; as a fellow interviewer of writers I appreciate and hope to emulate the thought that goes into the questions you ask. I'm so happy to have found you! Hi Diane! Thanks for reading and for your comment! I know they say you shouldn't read too many writing books, but I can't help it, I want to gobble them up like candy! Luckily (or maybe not), I read three or four books at a time (not all writing books) so it takes me a long time to finish a single book. Happy reading! I'll send you a copy if you'd like to review it on your blog. Sorry for misspelling your name in my comment above. It should be Alanna. Thanks for the link and I agree with Kass, Bird by Bird is a great book–writer or not! Hi Laura! Thanks for stopping by and leaving your comments! 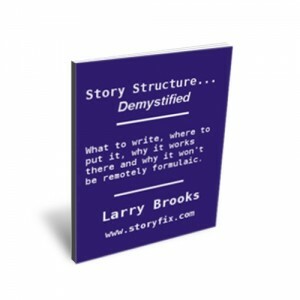 I'd love to review your new e-book on my blog! Please send it to me! I'm really looking forward to reading it!! Hi Geoffrey! Thanks for following my blog and your comment! I agree with you and Kass, I think it's one of the greatest books on writing ever written, and it is a wonderful book for those who don't write. Thanks again! So glad I could inspire you. My list is always growing and now thanks to you it's even a bit longer!